Are you looking for a sales career with expert training and unlimited earning potential? 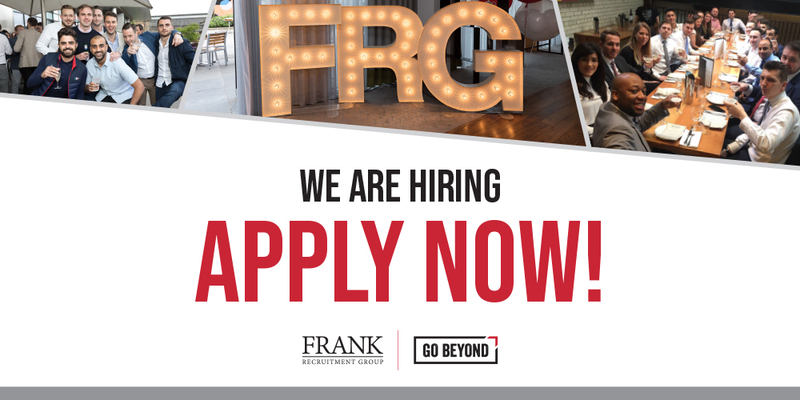 Frank Recruitment Group is an award-winning market leader in the niche IT industry, and over the last year we’ve experienced incredible global success. This has led to exponential growth across all of our specialist brands and, as a result, we’re looking to hire several Trainee Recruitment Consultants to join our new office in Scottsdale, Arizona. When working for us, you’ll experience a unique company culture where hard work and results are recognized and rewarded. We look to progress our top-performing recruitment consultants to senior level within their first 12 months. We also provide our new hires with full training through our in-house training program, Frank University. Throughout our sales development program, you will learn about client and candidate management, business development, contract negotiation, B2B sales, and recruiting best practices. What makes a great Trainee Recruitment Consultant? You’ll be working in our brand new office in Scottsdale, Arizona.